Yosemite National Park contains some of the most incredible natural wonders you’ve ever seen, making it a must on any person's bucket list. From the towering Half Dome peak to the majestic Bridalveil Falls, this park offers never-ending opportunities for fun and adventure. Something you absolutely need to see while you’re here is the abundant giant sequoias. These beautiful, magnificent trees are found all over this park. One spot where you can find many of them is the lovely Tuolumne Grove, a spot that many people love visiting. Learn everything you need to know about the Tuolumne Grove and make plans to visit today! You will love hiking in the beautiful Tuolumne Grove- it's simply amazing! There are plenty of trails you can enjoy here in this scenic paradise. They’re relatively easy, leisurely hikes that you are bound to love. The best part about this area is it’s spacious and a bit off the beaten path, so it’s a quiet and peaceful place to soak up the great outdoors. The Tuolumne Grove has numerous unique sights and attractions that you’ll love! Be sure to bring along your camera because there are many photo-worthy views in this area! There’s an iconic tunnel tree you can walk through, and during the fall you can see the spectacular display of the leaves changing colors. During the winter, you can snowshoe through the Tuolumne Grove for a truly magical experience. If you love the Tuolumne Grove, you have to visit its surrounding attractions! The Yosemite Valley is located close by, offering activities like guided tours, hiking and biking, scenic driving, fishing, stargazing, ice skating in winter, birdwatching, photography, and so much more. You should also explore as much of Yosemite National Park as you can- this is one of the most gorgeous places in the world. You won’t want to miss what the Tuolumne Grove and its surrounding areas have in store for you, so start planning your dream vacation to Yosemite National Park in California today! We know you’ll have a blast in our beautiful area. 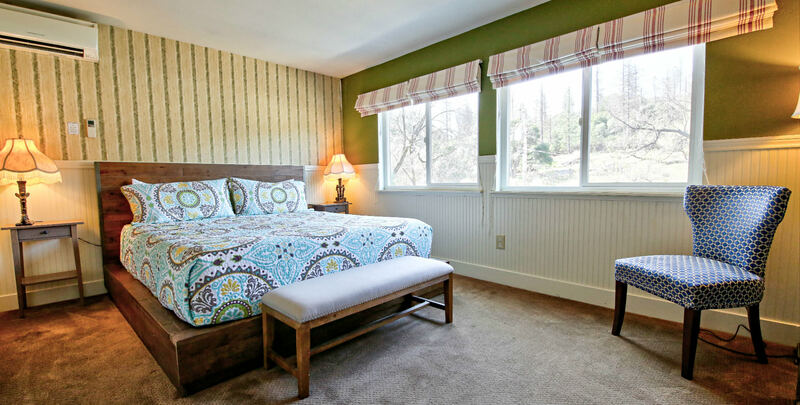 After a wonderful day exploring the Tuolumne Grove, come stay with us in the Hotel Charlotte, a historic bed and breakfast in Groveland, California, located at the gateway of Yosemite National Park. We offer luxurious lodging and outstanding amenities. Here at our bed and breakfast, you can choose from staying in one of our twelve beautiful rooms or renting one of our cozy apartment rentals, which have the perfect amount of space for families or groups. We also have a lovely living room, friendly and helpful staff, and even our very own Fork and Love Restaurant, so everything you need is right here! Don’t wait another minute to start planning your dream vacation. Our rooms fill up fast, so check our availability and book your stay with us at the Hotel Charlotte today!